The next-generation Apple Watch is scheduled to be released in the second half of 2017, according to supply chain newspaper DigiTimes. The timeline matches a Chinese-language Economic Daily News report that claimed new Apple Watch models will be unveiled in the third quarter of 2017, aka fall, with battery life and performance improvements. Apple Watch Series 2 models and slightly upgraded Series 1 models launched in September alongside the iPhone 7, so it is reasonable to assume that Series 3 models could launch in September as well. The original Apple Watch, now dubbed Series 0, launched in April 2015. In addition to a faster processor and longer battery life, cellular connectivity has been a long-rumored addition to the Apple Watch, and SIG analyst Christopher Rolland believes LTE capabilities could be included in Series 3 models. KGI Securities analyst Ming-Chi Kuo also said LTE could be added as early as 2017. With a cellular connection, Apple Watch owners would not need a paired iPhone nearby to do things like make phone calls or stream Apple Music content, but a separate data plan from a carrier would likely be needed. Apple is also expected to switch to a glass-film touchscreen this year in place of the current touch-on-lens solution, but it is unclear if this change would have any obvious consumer-facing benefits. 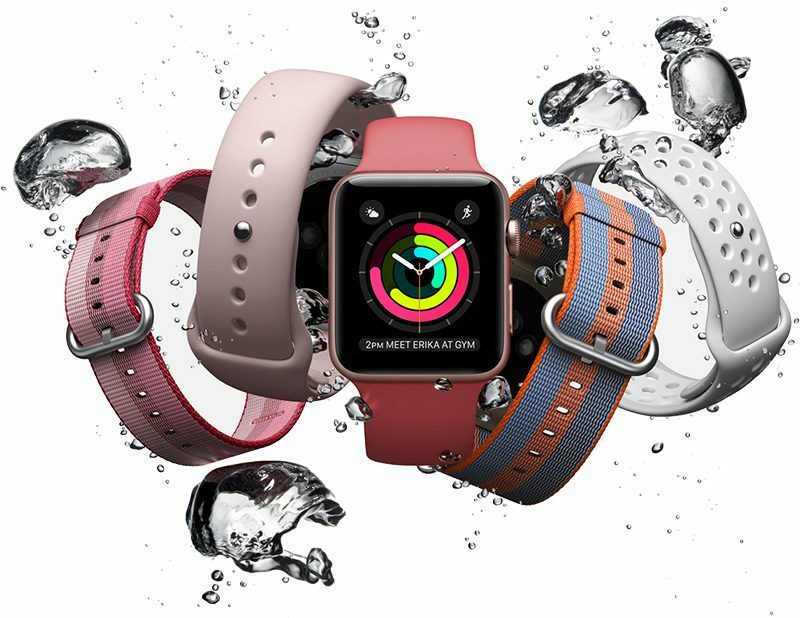 The overall design of the Apple Watch has not changed since the original models launched in April 2015, but one report yet to be substantiated claims Series 3 models will have few if any significant hardware changes. Apple has instead introduced new bands each season to offer a fresh look and feel. Few other details are known about the next Apple Watch at this point, and no parts have leaked from the supply chain yet. Quanta Computer is expected to remain the primary manufacturer of the Apple Watch, with some production reportedly shifting to Compal Electronics. This may tempt me to upgrade my Series 0, i've used it everyday since launch. Thanks for your eloquent input to the conversation. If things are so boring why do you people even feel the need to comment? What joy do you get from being salty? The only apple product that needs to be thinner. Here's hoping. I SO wish they would do a round version. While my Watch works just fine (early adopter, got it the first day it was on sale) I would much prefer a classic round shape. The interface would already work fine on a round screen - certainly the main menu looks like it was specifically designed for a circular interface. Probably just as confusing as those really confusing iPad or iPhone lines..
For me, I don't think I need an always on display. The wrist detection is acceptable, for now. What I would love is a better response time for wrist detection. There's a subtle, un-Apple-like, break in the magic using wrist detection. If they can improve the response time for the screen to turn on, that would be all that I need. I'll even tolerate false wrist detection activations, at the cost of battery life, for a better response time.